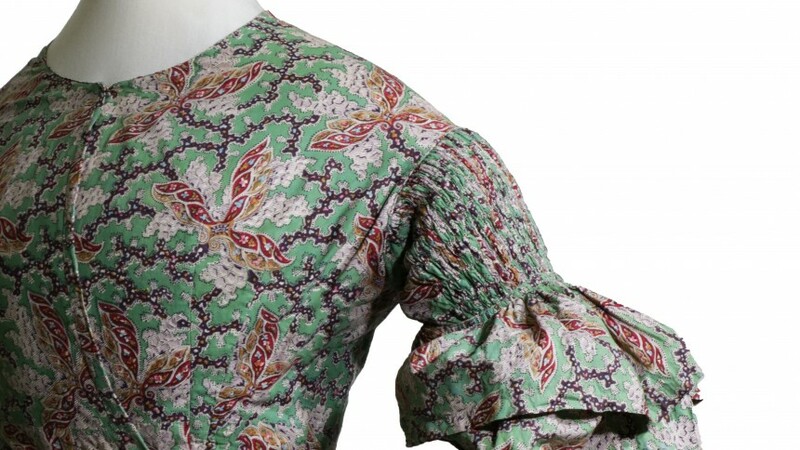 Leg sleeves or Beret, Giraffe hairstyle, Cathedral fans… 1820s-1840s fashion appears quite exotic nowadays, by both its denomination and its extravagant forms. This silhouette with the swollen bust and wasp size is the one of Balzac’s hero and dandies from the Hernani battle. Based on the collection from the Metropolitans museums and on many lending, this exhibition is the occasion to unveil unpublished objects to the audience. Putting next a rich iconography, made of portraits, miniatures, or even fashion engravings, this event puts lights on costumes, bags, fans, jewellery and other fashion accessories in order to highlight this exuberant period of the fashion history. Under the auspices of tutelary figures such as Balzac or Barbey d’Aurevilly, the visitor will meet the “fashionables” (ancestors of our “Fashion victims”) from the Restauration to the July’s Monarchy, ready to buy every new pieces of cloth sold in the “Magasins de nouveautés” (“Novelty shops”), the first “confections” or creations from the best Parisian dressmakers.